Your home is your largest investment. It’s your place of comfort, security, family, memories, giving and sharing. And a place that’s supposed to function while providing all of this. 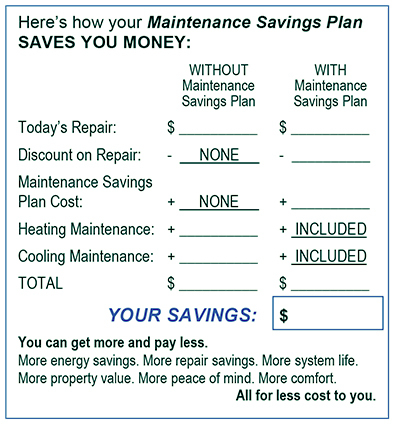 That’s why we created this Maintenance Savings Plan as part of joining our Comfort Club. BONUS BUCKS: Get Bonus Bucks every year that you’re a member. Use like cash toward a new system.